Get back to your family, your hobbies, and your life. Naturally and without surgery. • Millions of Americans suffer from the pain and stiffness of the joints and tendons that is caused by inflammatory conditions like tendinitis and plantar fasciitis, leading them to miss out on the activities they enjoy. • While these conditions may improve with rest and conservative therapy, chronic conditions may keep you sidelined for months, and require a more targeted therapy to address the underlying inflammation -encouraging your body to heal itself. • Recent advancesin regenerative medicine have revolutionized the treatment of these conditions by leveraging the innate restorative and healing powers of umbilical cord to reduce pain and to control inflammation. • The Better Health Clinic now offers CLARIX® FLO –the only injectable therapy containing the regenerative properties of umbilical cord. • Through a simple in-office injection, CLARIX FLO may lead you back on a path towards the active lifestyle you once enjoyed. • Tendinitis is a common inflammatory condition that may cause debilitating pain and stiffness of the tendons in the ankles, elbows, shoulder and other joints, leading millions of Americans to miss out on the activities they enjoy. • While tendinitis may improve with rest, chronic conditions may keep you sidelined for weeks and require a more targeted therapy to address the underlying inflammation -encouraging your tendon to heal. • Recent advances in regenerative medicine have revolutionized the treatment of tendinitis, leveraging the innate restorative and healing powers of safely processed umbilical cord to reduce pain and to control inflammation. • The Better Health Clinic now offers CLARIX® FLO –the only injectable therapy containing the regenerative properties of umbilical cord. • Heel pain –often known as plantar fasciitis –is a leading cause of debilitating foot symptoms among patients of all ages and activity levels, causing many to miss out on the activities they enjoy. • While plantar fasciitis may improve after months of conservative treatments, chronic conditions may require a more targeted therapy to address the underlying inflammation -encouraging your body to heal itself. • Recent advances in regenerative medicine have revolutionized the treatment of plantar fasciitis, leveraging the innate restorative and healing powers of safely processed umbilical cord to reduce pain and to control inflammation. Great Neck Podiatry now offers CLARIX® FLO –the only injectable therapy containing the regenerative properties of umbilical cord. Through a simple in-office injection, CLARIX FLO may lead you back on a path towards the active lifestyle you once enjoyed. Contact Great Neck Podiatry to learn about a game-changing regenerative therapy to treat many inflammatory and degenerative conditions of your soft tissues and joints. ALL IN THE OFFICE AND WITHOUT SURGERY. Contact [busines-name] to learn how we can help you regain flexibility and strength, and minimize your pain -naturally and without surgery. A simple injection of CLARIX® FLO performed in your doctor’s office may help you avoid or delay surgery, restoring normal function and returning you to the active lifestyle you once enjoyed. Maintaining an active lifestyle after suffering from debilitating injury or disease is never easy. Inflammatory or degenerative conditions –including tendinitis and plantar fasciitis, among others –can severely restrict your activity, leaving you with extreme pain and disability. When conservative treatments fail, surgery may seem to be your only remaining option. Over the past decade, regenerative medicine has revolutionized the treatment of many musculoskeletal conditions. This game-changing area of medicine seeks to encourage your own body to repair itself by replacing or regenerating defective tissues. Only one innovative regenerative therapy leverages the innate restorative properties of umbilical cord. This natural tissue-based therapy has been shown to be beneficial to the body’s own healing process. Amniotic tissue, which includes the umbilical cord and amniotic membrane surrounding the unborn baby, has been designed by nature to allow the fetus to develop in a healthy, controlled manner, protected from outside interference or trauma. Unlike any other tissue in your body, it also has regenerative properties to promote healing without evidence of scarring or damage. These reparative abilities come from several innate biological factors that promote tissue growth and healing. These biologic factors are most highly concentrated in the umbilical cord, making this an ideal tissue for use as a regenerative therapy for you! 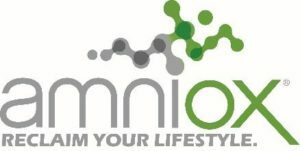 Leveraging the science of regenerative medicine, Amniox Medical has become the pioneer in researching and delivering the reparative properties of the umbilical cord to conditions of the soft tissue and joints. Our unique, industry-leading technology harnesses the innate power of the umbilical cord to deliver these regenerative properties to you through a simple injection at your doctor’s office. After more than 20 years of research and over 200,000 procedures, Amniox has demonstrated the safe and effective use of umbilical cord and amniotic membrane for treating a variety of conditions throughout the body. Ask your doctor how the Amniox CLARIX FLO injectable may help your body diminish pain and improve function. With the assistance of CLARIX FLO, you can combat inflammatory and degenerative disease and injury. How is the tissue donated? Amniox Medical obtains the placental tissue used in all its products through a voluntary donation program across the US. Donor mothers provide full consent prior to delivery of a full-term, live, newborn baby via a scheduled Cesarean section. 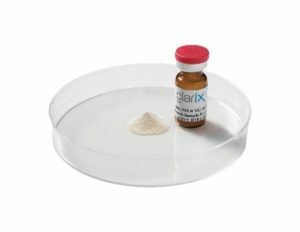 The amniotic membrane and umbilical cord, which are usually discarded, are then processed and preserved at Amniox Medical’s state-of-the-art US-based facility. Is the tissue safe for implantation? Prior to donation, all mothers are carefully screened to ensure safety, based on requirements established by the Food & Drug Administration (FDA) and American Association of Tissue Banks (AATB). Additionally, the donated tissue is thoroughly screened for infectious diseases, including HIV, Hepatitis B & C, Syphilis, West Nile, and Zika among many others. Finally, the donated tissue is thoroughly cleaned and processed to maintain the tissue’s regenerative properties, while eliminating living cells. CLARIX FLO is fully sterilized prior to shipping.